Love the tempered glass, the LED lighting, and the air filters! A bit crammed if you keep the hard drive cages in, so definitely use with a smaller modular PSU. Looks good, I really like this case, however compared to my previous set up, my gpu runs up to 8 degrees hotter and this is when the place is much cooler than before, expected it but didn't think it would have been that much higher. With less fans and a more restricted airflow it really does matter. Love the little led on the side. Took a while to figure out that I could change the effects. Cable management is good as long as the psu isn't too big. This size is still great though, not too big but still have space for everything I need. What a steal this is at around $60. It has tempered glass, an RGB light that can cycle through various colors, a power supply shroud, and nice cutouts for your cables to go through. As a first time builder it was very easy to build into, and has great cable management with Velcro staps already attached. Only problem I had, was with the clearance at the bottom of the case. I had to remove the Phanteks CPU extension I had purchased to make room for the side panel to go back into place. Also, if you don't pre-route cables before hand, the motherboard can get in the way of one of the cutouts at the top. The room you have to put your cables in and out of the way, is limited. I had to go in and do some remodeling before I could close it up. Other than that small complaint, it's a great budget case that checks all the boxes. For the price, even at the full retail of 59.99, the value in this case speaks for itself. The tempered glass isn't too dark which allows you to see the interior more easily without a lot of internal lighting. The mounting mechanism for the glass isn't on par with some of the more expensive cases that have hinges for example, but the lip on bottom helps prevent the glass from falling off after the removal of the screws. It sits very nicely and allows for easy removal. The cable management, even without a semi or fully modular power supply is surprisingly good, however, if you have a lot of peripheral hardware in here, it will definitely get tight in the basement if you keep the hard drive cage installed. The included SSD mount is much appreciated with room for a second if you wish to purchase it separately. Airflow is a bit limited at the front, but I haven't found it be an issue. The included dust filters are also a great plus. 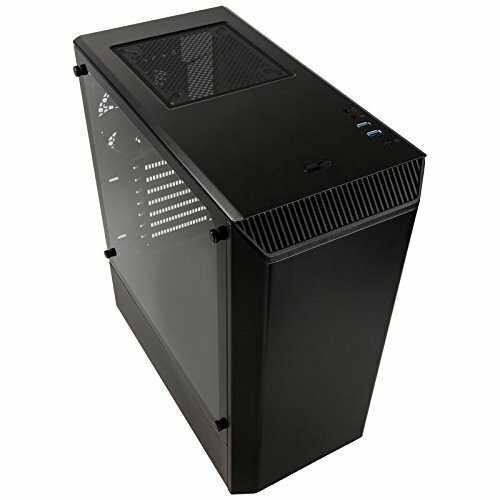 I don't have the RGB functionality enabled in my system, but it's nice to see that it is included at this price range (power button and small light bar on right side of the case window). This wasn't my first Phanteks case so I knew what to expect and building in this was quite simple. 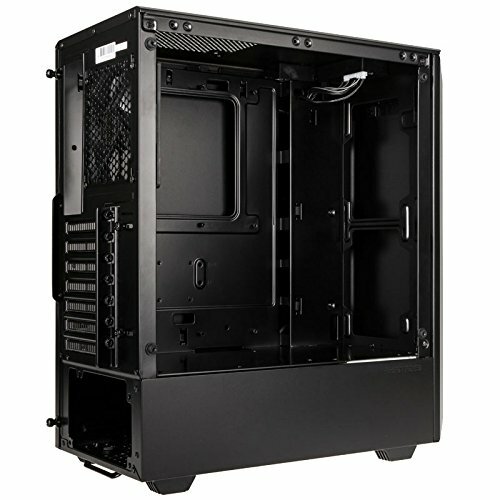 The only negative I really found with this case is the PCIE bracket on the back of the case. I find it unecessary and if you're like me, you won't realize you need to loosen it and could potentially damage hardware during instillation. 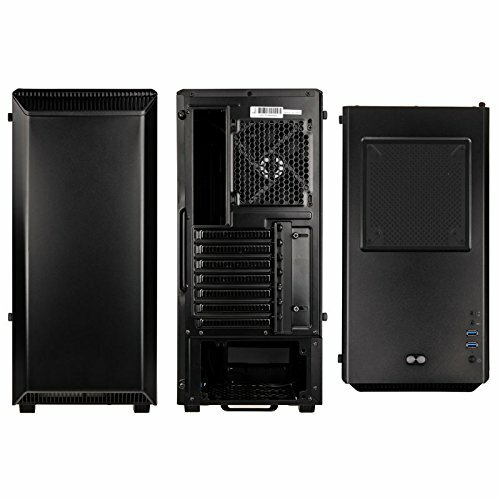 A beautiful looking case for a very good price. 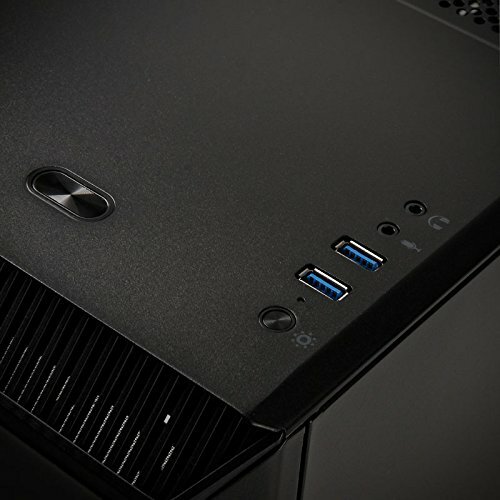 Two USB 3.0 ports up top are handy for easy access, there's plenty of space in the interior, and it's very easy to disassemble, with plenty of thumbscrews. The tempered glass side panel is beautiful. 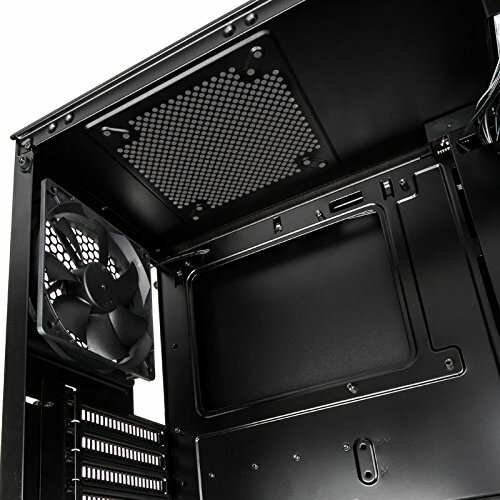 The bottom PSU shroud helps to hide a lot of the cables, and the back has plenty of cable management options, with the ability to rout most of them off to the side and hold them in place with velcro cable ties that come with the case. Two SSD mounts and two toolless HDD bays are nice if you don't need a ton of storage. The interior parts are rounded off nicely and everything is smooth - no danger of cutting yourself on this case (your motherboard's I/O shield being the usual exception, and that's not the case's fault). 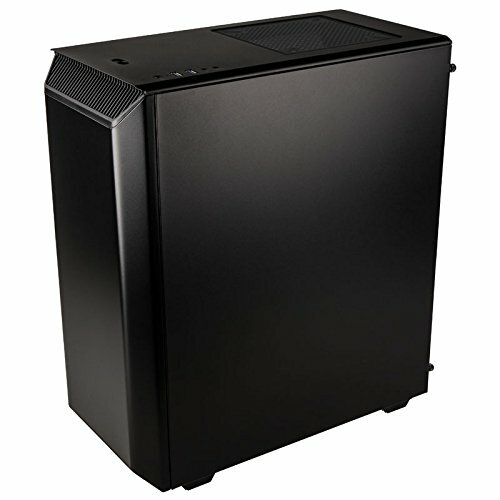 The only qualifier I would make is that it only comes with one exhaust fan - I would recommend picking up a couple of static pressure fans for the front, as it has room for up to two 140mm fans there (it's also where you would mount the radiator for your AIO if you're using one). 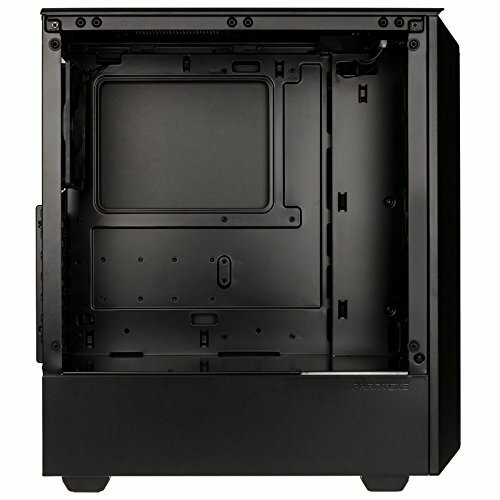 As a first-time builder, I highly recommend this case - it's not too expensive, and it is very easy to build in, not to mention it just looks good! Fantastic budget case that looks beautiful. Can't recommend enough. A Premium budget case. Easy to build in, fantastic cable management, clean lines and elegant looks with RGB integration. This case has it all!